Eight Attractions. One Pass. Endless Possibilities. 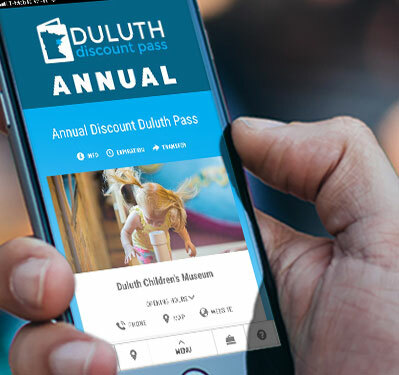 Enjoy full admission to Duluth's most unforgettable attractions with one easy pass! From museums to mansions, wild animals and unforgettable thrills, you can find it all in with the Duluth Discount Pass! 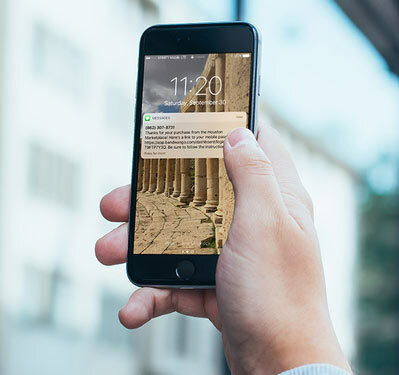 Whether you’re here for the weekend or a lifetime, our 3-day and annual passes are instantly delivered to your smartphone and feature amazing savings of up to 50%. Priced to save you 25% off regular admission! Priced to save you 50% off regular admission! We bring together Duluth's best tickets and experiences to make it easy for you to discover, buy and enjoy. Navigate an ore boat through the Duluth Canal. Create the fastest track with magnets. Experiment with kinetic sand. At the Duluth Children's Museum, your child's imagination can wander endlessly and learn extensively. Together, explore our playful exhibits, interactive programs, and versatile play stage. St. Louis County hub for Arts, Culture, and History. Four museums under one roof! Have a fun-filled day at the Edge. Soak up as much fun as you can while you enjoy 2 four-and-a-half story waterslides, children's activity pool with dumping bucket, critterwalk, vortex pool and relax on the lazy river. Take a break from all the action and grab a bite from Tiki Tom's Grill. View waterpark hours online at https://www.duluthwaterpark.com/waterpark/waterpark-hours/. Find your tiki today! Glensheen Mansion is a famous 39-room mansion perched on the shore of Lake Superior that is open daily for tours. It tells the story of the Duluth region through the lens of Chester and Clara Congdon. The 27,000 sq. ft. mansion was built with remarkable 20th century craftsmanship featuring stunning interiors with gold leaf ceilings, the infamous Breakfast Room, and items from around the world. Glensheen's 12-acre estate features gardens and bridges - all on a gorgeous stretch of shoreline. It is a must-see as the Most Visited House Museum in the Midwest. Find your WILD side in Duluth! The Lake Superior Zoo is home to hundreds of native animals and exotic species and is open year-round. As the region's wildest place to explore, you'll find indoor and outdoor animal exhibits, educational programming and camps, behind-the-scenes tours, party rental and wedding options, and more! On any given day you will be able to check out informative & fun Keeper Chats, get up-close and personal with our ambassador animals and experience wildlife like never before! Come have an Amazing Experience at our Indoor Extreme Trampoline Arena. Over 15,000 square feet of interconnected, trampolines in a Brand New 25,000+ sq. ft facility. Our Trampoline Park features amazing world-class activities like Extreme Dodgeball, Trapeze, Launchpads, Foam Pits, Dunk Zones, a Battle Beam and even a state of the art Ninja Obstacle Course! 4 Season recreational area in Duluth. Summer activities include Adventure Park with the regions only Alpine Coaster, Zip-Line, Mini-Golf, Jumping Pillow and more. Summer also brings about world-class mountain biking. From lift-served, gravity biking to single track. Come see why Spirit Mountain is a top 5 Bike Park! Winter you will find skiing, snowboarding, snow tubing and fat biking. Offering rentals, lessons, programs, passes, award winning terrain parks and more. We are your destination for adventure! Vouchers are redeemable for certain goods, services or experiences offered by, or facilitated through, the Merchant identified on the Voucher. Voucher has NO cash value. The Merchant is the issuer of the Voucher and is solely responsible for all matters pertaining to the redemption and use of the Voucher. Vouchers must be redeemed within specified redemption period. Furthermore, the Merchant is fully and solely responsible for the care and quality of all goods and services it provides to you and for any and all injuries, illnesses, damages, claims, liabilities and costs (“Liabilities”) it may cause you to suffer, directly or indirectly, in full or in part, whether related to the use or redemption of a Voucher or not. You waive and release Visit Duluth, including their subsidiaries, affiliates, partners, officers, directors, employees, and agents, (collectively, the “Released Parties”) from any Liabilities arising from, related to, or sustained in connection with any act or omission of a Merchant, its employees, agents, contractors, and invitees, in connection with your use of a Voucher or the goods, services or experiences a Merchant provides in connection with the Voucher. Services performed by the Released Parties are provided “AS IS” without warranties of any kind, express or implied, including any implied warranty of merchantability or fitness for a particular purpose.